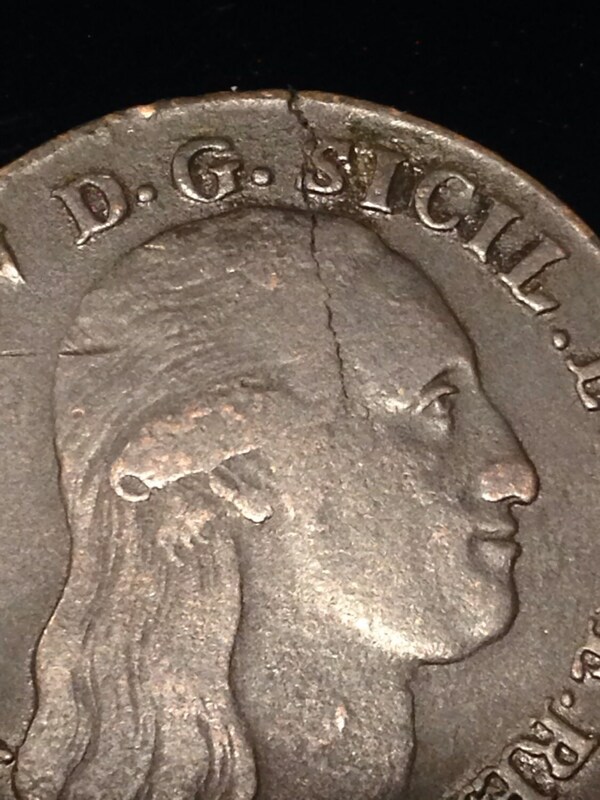 An average circulated 1797 8 Tornesi coin made from copper. 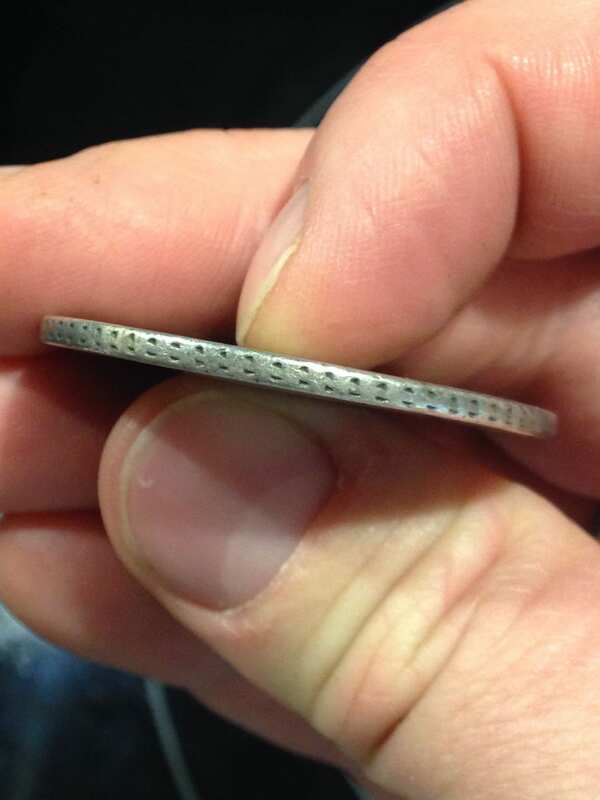 Diameter is about 31mm. 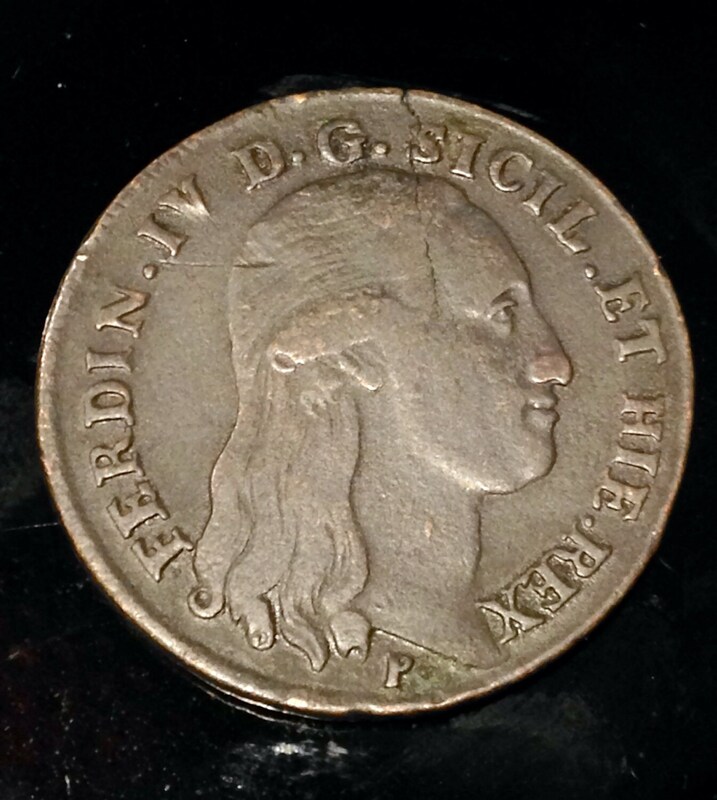 The legend on the obverse is Ferdinan IV D G Siciliar et Hie Rex. 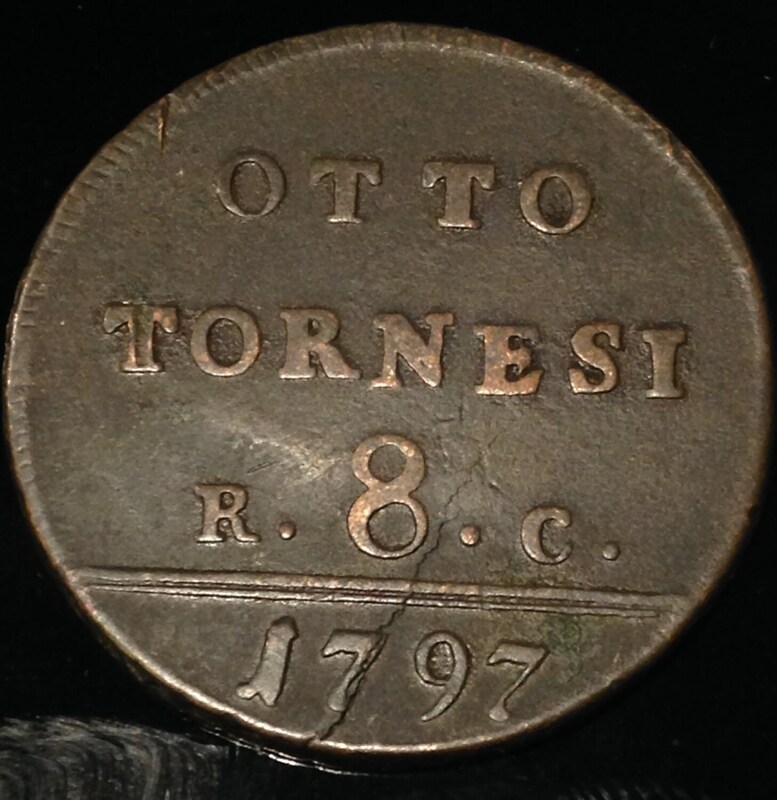 On the reverse is Otto Tornesi R. C. 8 and the date. The edge is slightly textured. 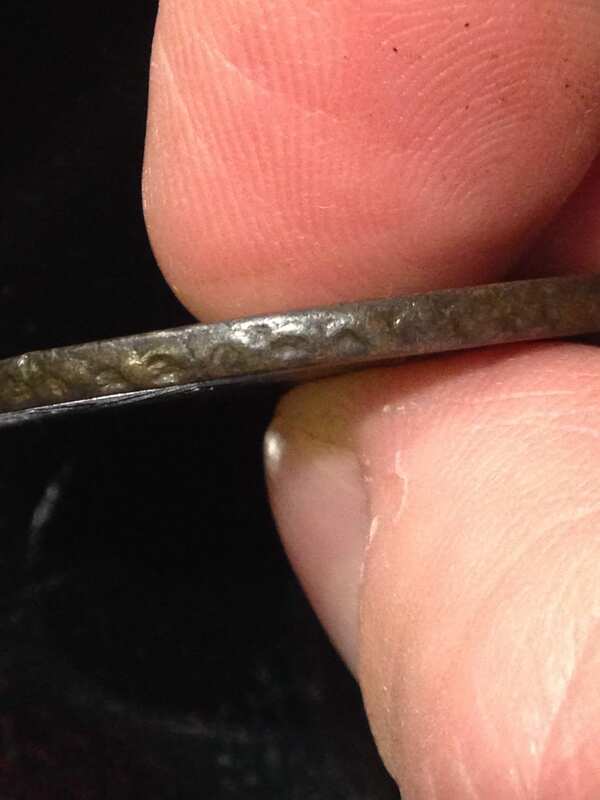 Coin has a fine line running through it which appears to have occurred at the minting of the coin. The lettering is exceedingly crisp as shown. Very nice item.